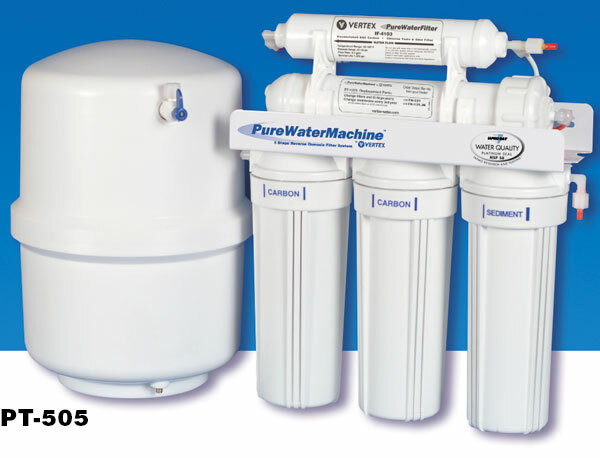 4-stage and 5-stage Certified undersink Reverse Osmosis filter system with high volume 50 GPD membrane provides more water when you need it. 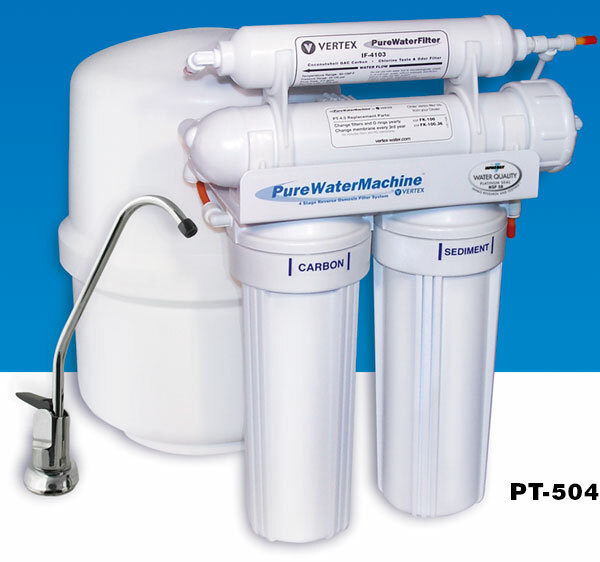 4-stage and 5-stage undersink Reverse Osmosis filter system with high volume 50 GPD membranes optimized to treat city water using the existing water pressure. IAPMO Certified, these sturdy and reliable US made systems have been in the field for over 15 and are proven to be reliable. VERTEX PureWaterMachines fit under most sinks and make clean, great tasting water at the point-of-use, eliminating the need for bottled water. An automatic shut-off valve conserves water by shutting the unit off when the storage tank is full. 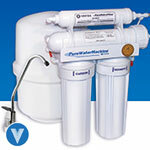 The 5-stage system with a 50 GPD membrane and 5 filter stages blocks high sediment contamination. This 5-stage model is designed to ensure water quality, membrane performance and filter life where the incoming water contains a high amount of sediment as in some well water systems. An extra pre-filter stage is added before the membrane. This design can also be used to extend time between filter changes.